When it comes to audio recording, the importance of capturing the best quality sounds can never be overstated. Luckily, the market is flooding with thousands of microphones to help you in this. While they all serve the same purpose of capturing audio, they are worlds apart when it comes to application. That’s the reason why the Blue Yeti microphone won’t be of much use to a TV presenter while it’s all the rage in professional and home recording studios. So, what are the different types of microphones and what's best for recording? That’s exactly what we'll learn in this write-up. Mind you, this is the first article in a series of a comprehensive guide to the different types of microphones that you’ll come across on the market. This article acts as a detailed buying guide to the various types of mics, their benefits, and their differences. I’ll also tell you what makes them best suited for their use. There are 2 basic types of microphones that you’ll mostly use in your studio; Condenser microphones and the Dynamic microphones. Most mics fall into these 2 categories. However, there’s another category that stands on its own; the Ribbon mics. Let’s understand them bit by bit. Condenser mics are the most common in many studio setups. These mics are highly dependable when it comes to recording vocals and high-frequency instruments including strings, acoustic guitar, piano, and drum overheads. This is because they can pick up more detail which results to absolute fidelity to the source. Some good examples of these include Sony C800GPAC and Shure KSM27 both which take positions 1 and 2 respectively in our article of the best condenser mics 2017. So, what makes condenser mics so versatile? It’s common knowledge that sound results from vibrations in the air. It’s the way that microphones convert the vibrations into electric signals that make all the difference. In fact, that’s where these microphones derive their name. Condenser microphones are known to be more responsive to the speed of sound waves than the dynamic mics. This boils down to their mechanical system. Condenser microphones derive their name from their mechanical system. Their capsule (the first part where sound vibrations hit) consists of a thin membrane/diaphragm placed close to a backplate which is a solid metal disk. This system is then powered either by an onboard battery or an external power supply to create a capacitor. Does that name ring some bells? It should. In our physical lessons, we were taught that a capacitor refers to 2 electrically conductive metal plates placed in close proximity. Now, when these 2 plates receive an electric charge from a voltage source, they create capacitance in between them. That’s exactly what happens in a condenser microphone. So, when sound waves hit the upper plate (which is very thin), it vibrates to and fro thereby leading to a change in the capacitance. What else? That’s the electrical signal that is transmitted via the cables to your monitors or headphones! But what really gives the condenser mics such superior sound quality? As we’ve just seen, condenser microphones employ an extremely thin and small diaphragm to capture sound waves. Their design makes them light. As a result, they can follow sound vibrations and nuances more accurately than the large and relatively heavy diaphragms found in dynamic microphones. That’s the magic behind their superior sound quality. It’s also the reason why condenser mics flaunt such a wide frequency response. However, the small and thin diaphragm in condenser microphones has its downsides too. Condenser microphones require 48V of power boost to generate audible signals. This is because the condenser’s capsule produces very weak to no current. You’ll, therefore, require phantom power to step up the weak current. So, will you have to purchase a separate Phantom power for that? Not really. We are in 2017, remember? Most microphone inputs offer the 48-volt phantom power boost which makes it so easy and convenient for you. Dynamic microphones, for instance, Shure SM57-LC employ a different technique for converting sound waves into electrical signals. Different from the condenser microphones that use a capacitor, these models use a magnetic field and a conductor to generate audio signals. Let’s refer from our physics classes again. According to the electromagnet principle, moving a magnet near a coiled wire creates an electrical current. That’s the physics behind dynamic microphones. A wire is coiled closely over a rod of magnet. It’s then attached to a diaphragm on one side. So, when sound vibrations hit the diaphragm, the coil moves to and fro past the magnet. As expected, electric signals are created in the coil which is transmitted to the sound monitors for conversion into audio signals. Condenser microphones utilize a smaller and a relatively lighter diaphragm than Dynamic microphones. Again, unlike the latter, the diaphragm in condenser microphones is not attached to a heavy coil which may further increase its mass. Remember, high frequencies of sound tend to have significantly less energy. As such, they may not be able to move heavy diaphragms. That’s the reason why condenser microphones have a high transient response. The opposite is true. Low-frequencies have more energy enough to push high-mass diaphragms. That’s the reason why dynamic microphones are the perfect choice for low to mid frequency musical instruments including drums and tuba. This is another reason why dynamic microphones are excellent for use with high SPL instruments including drums. Their diaphragms are relatively thicker and stronger than those of the condenser microphones. Condenser microphones have a wider frequency response than dynamic mics. They also give better details at lower volumes. Unfortunately, due to their high sensitivity, condenser mics distort at high SPLs. As a result, they send clipping signals with a voltage too high for your preamplifier to handle. On the other hand, high SPL isn’t an issue to most dynamic microphones. Dynamic microphones are passive. They utilize a high-mass diaphragm. It produces a considerable amount of acoustic energy with decent voltage for the preamplifier to boost to line-level. On the other hand, condenser mics (also known as active mics) generate weaker signals that require at least 48v of phantom power. A ribbon microphone is more of a dynamic microphone in that it uses a magnetic field to generate electrical signals. However, it has a slightly different mechanism. A ribbon mic features a thin strip of aluminum placed between 2 strong magnets. This aluminum strip acts as the diaphragm and the voice coil. Ribbon mic’s mechanical system responds to the velocity of air particles rather than pressure. Though not so popular, ribbon microphones have been with us for a long time. Again, they are slowly finding their way into recording studios. Unlike a few decades back, ribbon microphones are not as noisy. They also don’t demand so much gain to boost the output impedance to levels usable by a preamp. Where do you use a ribbon microphone in a recording studio? You’ll reach for a ribbon microphone if you want a smooth, musical, and sweet top end and a more rounded low end. Most recording studio experts say that they use ribbon microphones on electric guitars, guitar amps, drum overheads, and pianos. Royer Labs R-122 is our best recommendation in this niche. Worth noting, ribbon microphones are usually figure-8 in pattern. This means that they ‘hear’ signals from the front and back but ignore all signals coming from the side. In fact, let’s explore the different types of microphones according to their pattern. Also known as the directionality, a microphone’s polar pattern refers to the direction from which it receives and ‘hears’ sounds. This is an important microphone spec that you’ll want to consider when purchasing your mics. These are microphones that receive signals predominantly from one direction. Most of these mics are sensitive to sounds coming from the front and ignore sounds coming from the sides and rear. These mics can then be divided into 2; cardioids and supercardioids. These are microphones that are highly sensitive at the front and tend to ignore sounds from the rear. However, they are slightly sensitive to sounds coming from the sides. Uses of cardioids mics: These microphones come in handy when you want to emphasize more on sounds coming from one direction (the front) while preventing unwanted ambient sounds. It also helps in isolating feedback. As a result, they come in handy in loud stages. These are ‘advanced’ types of cardioids mics. They are more sensitive to sounds from the front and tend to ignore most of the noise coming from the side. These mics have a long thin design and are at times known as shotgun microphones. Their long design, however, makes them a little sensitive to sounds coming from the rear. As such, if you’re to use them in a studio, you need to mind the position of your monitors. Uses of supercardioid​​​​s mics: these are used to pick up sound from a subject at a distance. These types of mics ‘hear’ sounds coming from 2 opposite directions. Omni means all. These are mics that have sensitivity at all angles.  Hoping that you can now tell the difference between condenser, dynamic, and ribbon microphones and you’ve grasped something about their directionalities, let’s understand them clearly in their 9 subcategories. One thing that I didn’t mention while discussing the condenser mics is that their diaphragms can either be large or small. In most cases, large diaphragms measure approximately 1 inch. These microphones are the most common and usually top the list of a new studio’s microphone shopping list. Why should you go for a large diaphragm microphone? Large diaphragm microphones mostly come in handy when you want to record the most natural sound. This is because they have greatly reduced self-noise. These types of microphones have a ½-inch diaphragm. The small size makes it easy for the diaphragm to follow sound waves more accurately. As such, they have a consistent pickup pattern and have extended high-frequency response. They are, therefore, ideal for singers. These mics make it easy for a beginner with little to spend on studio gear. True to their name, they connect directly to your laptop or studio computer via the USB. The thing with these mics is that they don’t require preamps or interfaces. As we found, these mics are neither dynamic nor condenser mics. Though not so common with most home studios, professional sound engineers know that there are several sound aspects that ribbon mics have over other types. For instance, they have a more full-bodied sound in the low and mid frequencies than other mics. These are mics that allow you to change their directionality as desired. You can switch from omnidirectional to cardioid or figure-8. Dynamic and ribbon mics can save the day when used on bass instruments. However, if you’re looking for scooped sounds around the mids and a boost at the low ends, bass mics are the way to go. These mics can be used on bass cabinets and kick drums. Audio Technica Pro 44 is a renowned unit in this category. Though mostly used in courtrooms and conference halls, boundary mics can also be used in studios as room mics or kick drum mics. While condenser mics are the most common in a studio setup, dynamic mics are versatile key components to keep nearby. Dynamic mics are durable and easily affordable. In studios, they can be used for loud brass instruments, drums, and rock and loud vocals. Very rarely will you find a use for these shotguns in your studio. However, experienced sound experts who tend to have a use for everything will find them useful in one way or the other. These mics are best suited for outdoor activities such as filming or news reporting. That’s it. At this point, it’s my belief that you can choose a mic for its exact purpose in your studio. Check out our list of 23 equipment that you need when starting music studio.